New GloBeat April ’18 Compilation is an eclectic collection of songs from France, Palestine, Italy, Spain, China, Portugal, Greece and more. Listen to Gal Costa Mihalis Hatzigiannis Amal Murkus امل مرقس Niña Pastori Flory Jagoda Rão Kyao ALBERTO CORTEZ Zirok Oficial #LeslieCheung#LilitPipoyan #IssaBagayogo #SilvieVartan #PaulAnka singing in Italian, and the Iranian Rock band Barad! Listen to the GloBeat Balkan Music Rebroadcast on Sunday October 8 at 10am ETtune to WERA 96.7 FM or stream from wera.fm. Great music from Croatia, Serbia, Romania, Bosnia and Herzegovina and more. Refiscover great artists like @AmiraMedunjanin, @ AnaCurcinOffical @EvaSalina @EvaBoto (official) @TamaraObrovac #ElinaDuni #VasselinaKasarova#FanfareCiocarila and many more! If you do not have access to WiFi you can use the free App Tunein to listen to WERA97.7FM. 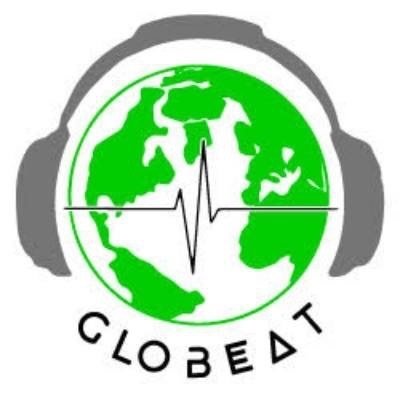 One of the most popular GloBeat episodes was the one dedicated to exploring Romanian music. Oana Catalina Chitu, Angela Gheorghiu, Taraf de Haiduks and many more. This GloBeat episode is an eclectic mix. It contains tracks by the French Calogero and Michel Polanareff, K.D. Lang singing a lovely fado in Portuguese, the Japanese composer Ryuichi Sakamoto, an exotic song by Sevara Nazarkhan in Uzbek, a flamenco number by Radio Tarifa , a Corsican folk song by I Muvrini and much more.